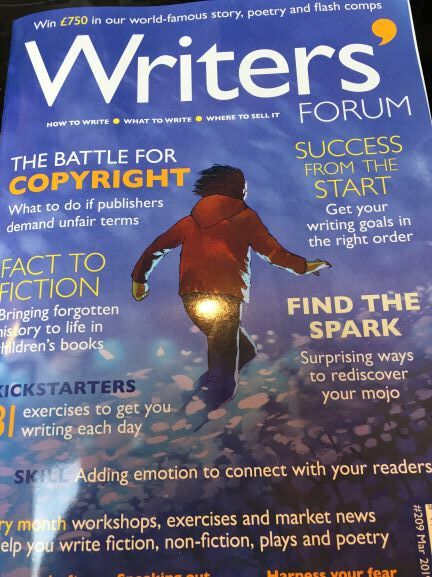 What do this month’s Writers’ Forum and Writing magazines have in common? Well, for a start, they both contain an article by yours truly. 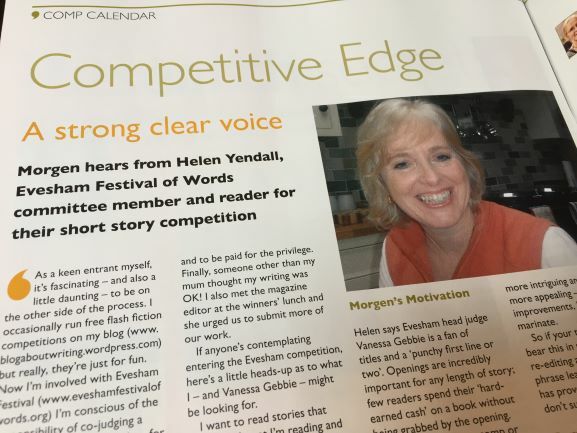 I’ve written about writing competitions – specifically the Evesham Festival of Words’ short story competition for WF and about ‘UpLit’ for Writing. I’m only telling you this (not to be boasty-boasty) but just in case you’re wondering if I ever actually write anything. 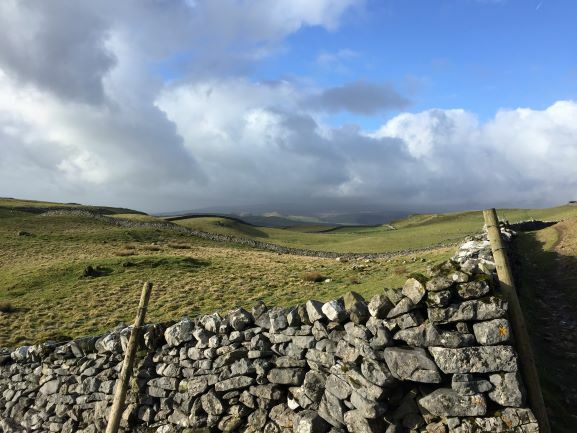 Looking back at the last few posts, it looks as though I just roam around the country (I’ve just been in Yorkshire for 4 days) and am occasionally ill. And this blog is, of course, supposed to be about WRITING! But anyway… the other thing that the two March issues have in common is a reader’s complaint/plea for help with writing mojo. In Writers’ Forum, Victoria from Bristol wants advice on how to ‘ignite her creative spark’ and in Writing, Tori, from Cardiff, gets ‘block’ and ‘depression’ when she can’t write, both of which, I reckon, boil down to pretty much the same thing: Loss of Mojo. I think most of us writers feel that way sometimes, don’t we? Lacking inspiration, feeling so fog-brained that trying to write feels like wading through treacle and there’s just a general feeling of ‘ugh’. Am I right? (or is it just me – and er, Victoria from Bristol and Tori from Cardiff?). 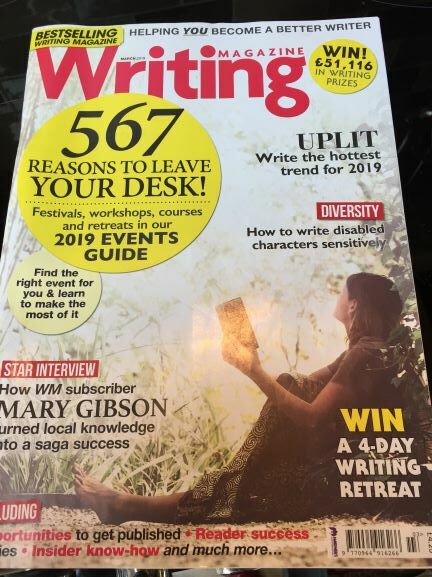 I’ve touched on this ‘loss of mojo’ and destressing for writers, before but I thought I’d see if I could come up with a few more tips for getting that mojo back – and feel free to add yours in the comments! 1. Take a break. Forbidding yourself from writing for a week or two (or however long you decide), will probably have you itching to get back to it. I’ve just been up North (roaming around the country) and that’s certainly worked for me. 2. Apparently, creativity is cyclical! Who knew? So, if, some days, you’re on a roll and the ideas are coming so fast and furious that you can hardly keep up with them and you could write all night, a) make the most of that time and b) don’t be surprised – or too disheartened – if a few days later, you feel stuck in the mire again Have faith, that another burst of creativity is just around the corner and perhaps, in the meantime, do something else? 3. Nail That Routine! I find that, without a routine, I often procrastinate, feel bad, beat myself up, procrastinate even more and just can’t get down to writing. After Christmas, or a holiday, it seems to be worse. So, trying to stick to a routine – and having goals – for writing is often helpful. Set yourself a REALISTIC daily goal: 15 minutes of writing or an hour, or 200 words, a paragraph, a page. Whatever works for you. If it’s realistic, you should be able to do it. No excuses allowed! 4. Self-Care. I’m going all ‘Psychologies magazine’ on you now but this is an important one: practice self-care. It goes without saying really but we need to sleep and eat well, drink lots of water, get some exercise and meditate/practice mindfulness or ‘journal’/do Morning Pages (if you find that helpful), to be the best writers we can be. 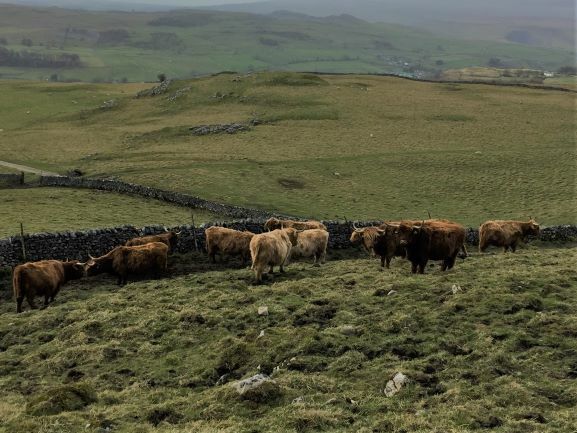 There were Highland cows! With very big horns. Good advice! I wrote a couple of letters to magazines. It was nice just to write something short and simple and submit it. 6. Use Prompts. Set a timer and write for 10 minutes without stopping, on a given prompt. Meg Pokrass has some on her blog here. Don’t let yourself ‘choose’ though: just go with the first one (or, when you’ve done that, the next one down). You’ll be surprised what you come up with, I promise. 7. Get out of the house! It’s really hard to write at home because there are too many distractions. 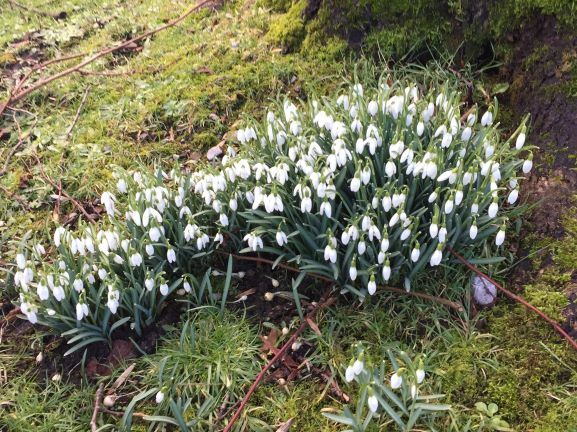 A couple of weeks ago, I went on a one-day retreat, to a Christian centre near me that was offering a special offer ‘pop up retreat day’ but you don’t have to do anything that fancy. A writer I know takes herself off to her local library every day, armed with sandwiches and a flask of coffee, so she’s not tempted by cafes. She has a favourite table, tucked away in the corner and that’s where she writes. Could you do that? What else? What do you do when your muse deserts you?! 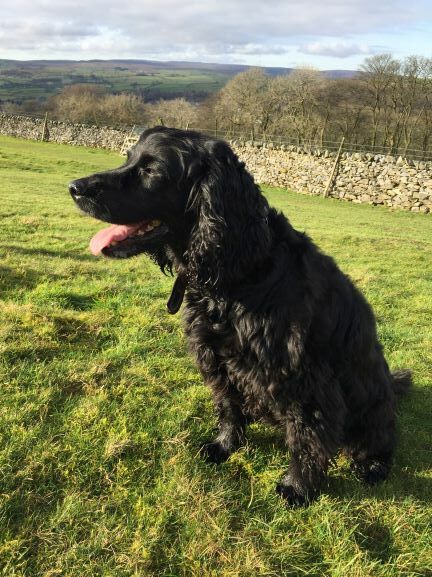 This entry was posted in Blogging, Competitions, Magazines and tagged mojo; muse, Yorkshire. Bookmark the permalink. Thanks, Alyson. I have been feeling very ‘sluggish’ and demotivated for the last few weeks too. I definitely feel more creative now, after a few days away from the laptop or any kind of writing! Hope some of these tips help you! That mojo WILL return! I think the comment about lowering your standards is key – for me, anyway. I really baulk against just bashing the keys and getting the story down, finding it very hard to stifle that inner critic who wants perfect prose first time round. I’m learning though. It’s just a slow process and I’m having to train myself! You can’t edit a blank page, etc etc …. I’m a bit like you, Fran. I polish and polish (too much) before I move forward. I actually envy people who can bash down a crappy first draft without stressing – and then work on it! I give myself little rewards. Just so I won’t break the bank, I make sure they’re pretty frugal, like a guilt free, Saturday afternoon nap when I’ve hit my word count, or perhaps I get to break out the antique teacup for my next cup of tea. Little rewards are good, Priscilla. Little carrots to spur us on! Thanks for an interesting post! My most useful ploy when stuck is something that came from reading A J Palmer’s book about writing. Put two of your characters into a setting quite outside the planned story. Then free them to behave as they will in these new circumstances… the resulting piece isn’t intended as part of your work in progress. But it may just spark something new! That’s an interesting exercise, Penny, thanks! I’ll give it a go! 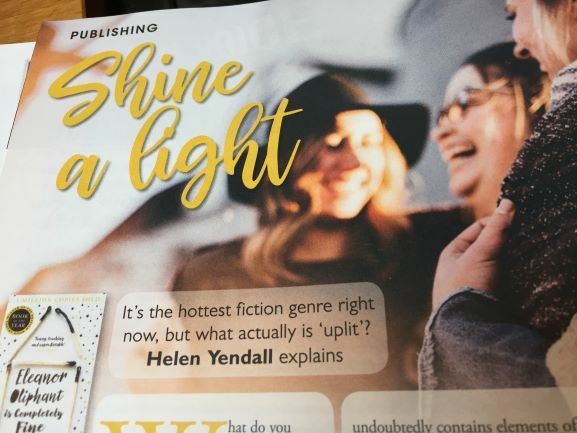 You may remember, Helen, I’ve shelved all of my fiction writing since taking up this full time contract in Evesham (finishing end of March if you’d still like to meet up). Done plenty of corporate writing and film-making, but I’m itching to get back to my work-in-progress. Big question – will I be able to pick up from where I left it? Grateful for any tips returning to a writing project after a four-month gap. Thank you Julia! That’s made me feel better too! I so agree with the advice about lowering your standards or writing something different, however small. I recently sent letters to Writing Magazine and Writers’ Forum magazine. When they published them it did give me a tremendous lift. Great tips! Thanks, Sharon! Yes, I’ve seen your name popping up quite often in the letters pages of those magazines – good for you! It does give you a boost when your work is published, doesn’t it? Shows that you’ve got something worth saying!